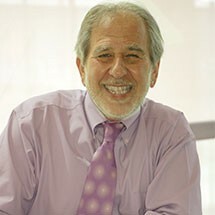 Bruce Lipton, Ph.D. , is an internationally recognized leader in bridging science and spirit. Stem cell biologist, bestselling author of The Biology of Belief and recipient of the 2009 Goi Peace Award, he has been a guest speaker on hundreds of TV and radio shows, as well as keynote presenter for national and international conferences. Dr. Lipton began his scientific career as a cell biologist. He received his Ph.D. Degree from the University of Virginia at Charlottesville before joining the Department of Anatomy at the University of Wisconsin's School of Medicine in 1973. Dr. Lipton's research on muscular dystrophy, studies employing cloned human stem cells, focused upon the molecular mechanisms controlling cell behavior. An experimental tissue transplantation technique developed by Dr. Lipton and colleague Dr. Ed Schultz and published in the journal Science was subsequently employed as a novel form of human genetic engineering. In 1982, Dr. Lipton began examining the principles of quantum physics and how they might be integrated into his understanding of the cell's information processing systems. He produced breakthrough studies on the cell membrane. His research at Stanford University's School of Medicine, between 1987 and 1992, revealed that the environment, operating though the membrane, controlled the behavior and physiology of the cell, turning genes on and off. His discoveries, which ran counter to the established scientific view that life is controlled by the genes, presaged one of today's most important fields of study, the science of epigenetics. Lessons with Bruce Lipton, Ph.D.